Okay for a first apartment, overall positive experience so farsubmitted by Megan B. - Nov 14, 2018 |Recommended: YesThe staff is always kind, however had some issues originally during the first month with the lease and the prorated rent amount. Staff since then has always been friendly and generally helpful. Maintenance will respond to a submitted maintenance request in an extremely timely manner, again however I have called the 24 7 number twice and left a message and I never received a call back or got through to anyone. Buildings and grounds are overall fairly clean with the exception of the smell of cigarette smoke which comes up through the heating vents to the apartments above. Lived here almost four months and have not had any major issues. The appearance aspect of the place has improved a lotsubmitted by Carolina P. - Oct 30, 2018 |Recommended: YesI love the green areas and the care of the exterior, because it has greatly improved the appearance of this place. the maintenance of repairs of something some problem of the department take a long time to go, that has to be improved. There is constant night control and that is appreciated The noise of the other department is somewhat unpleasant because sometimes they do not let sleep, in this case it is important that leasing office becomes a little responsible, with a warning letter or a fine to people who do not respect the space of another. But in general I love where I live and the community in general. Comfortable living away from the hustle and bustle.submitted by Aleisha B.  - Aug 07, 2018 |Recommended: YesSo many amenities being a resident of Liberty Square. Right in the middle of Newark's hot spots such as the university and the mall. Comfortable quaint little community. Everyone is friendly, residents as well as staff. Staff responds quickly to maintenance requests, even minor. Common areas are neat, clean, and accessible. I've overall completely satisfied with my decision to move into an apartment instead of a house. I highly recommend taking a tour if you're looking to relax and enjoy life as easy as possible. Too many roachessubmitted by Felicitas A. - Aug 04, 2018 |Recommended: NoMy neighbor are polite. There is smoking in the hall ways which is not healthy for anyone. If smokers were made to not smoke in the hallways that would be good. And the roaches terminated ,. Best Management, friendly and happy staff.submitted by Francis M. - Jun 26, 2018 |Recommended: YesPro's Outstanding improvement, when compared to the previous management. Cons - Please add more security lights. It would discourage criminal activities at the parking lots...esp. during summer. - Heating system doesn't work during winter if you rent the basement. Neighbors are too noisy submitted by Andrew W. - May 01, 2018 |Recommended: YesNeighbors are extremely noisy and apartment staff does not always seem knowledgeable, but the upgrades are nice and grounds are well kept. Inexpensive living if your expectations aren't too highsubmitted by Jessica A. - Apr 13, 2018 |Recommended: NoIt's a safe community, but there is no sense of community. Good prices but you get what you pay for. Great for first time apartmentsubmitted by Stephanie G. - Mar 31, 2018 |Recommended: YesThe rent is priced well, location is everything. All the Right Stuffsubmitted by Brad L. - Mar 12, 2018 |Recommended: YesI would let the possible new resident about the animal friendly neighborhood and maintenance does respond and the staff is very professional. The leasing office is great people and very honest plus practice integrity most of the time LOL . I was worried when I saw the Google Review about the bugs but I have been here since October 2017 and I have yet to see a bug, not even a stink bug. My apartment has brand new appliances and they are all black my favorite color . My dog and I are very comfortable to stay in this community. Great placesubmitted by Anna F. - Jan 28, 2018 |Recommended: YesThe apartment is great Our leasing agent is awesome and always very helpful. The only issue is how noisy our upstairs neighbors are. They are constantly screaming and yelling and slamming items into the floor. But that is no fault to Liberty. People some times smoke in the hallways which causes some less than ideal hallway smells. Overall its been a great place to live.